There's something about acne that drives the sanest among us to extreme measures. Seriously, pimples can plague even the freshest of faces. While these pimples and blemishes can cause unsightly redness and bumps, it can also affect your confidence. 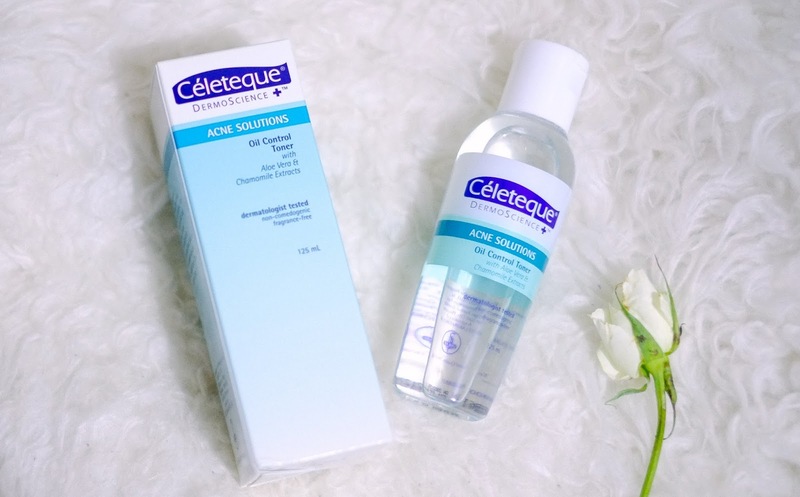 It also prompts us to look desperately for the best acne product, but why raid all the drugstore aisles when there's a whole line specifically dedicated to acne? Yaaas, there is! 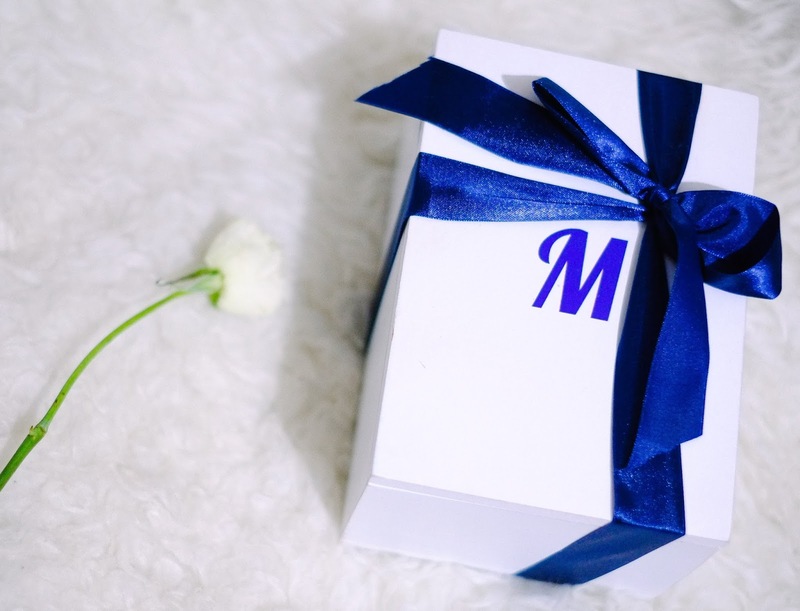 Check out my very own blemish box. 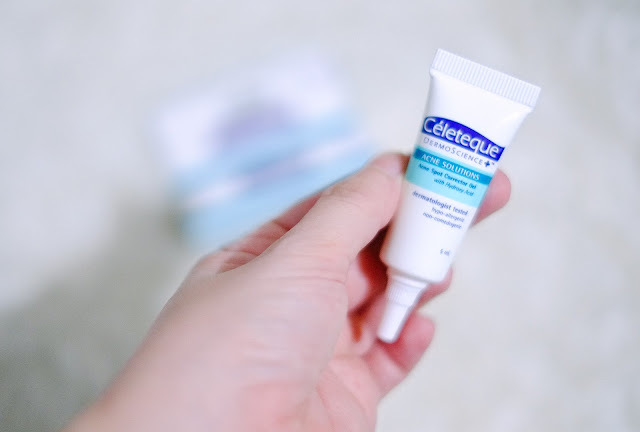 It contains a specialized line of Dermo-created products aka Céleteque DermoScience Acne Solutions line that aims to clear up acne and control oily skin. 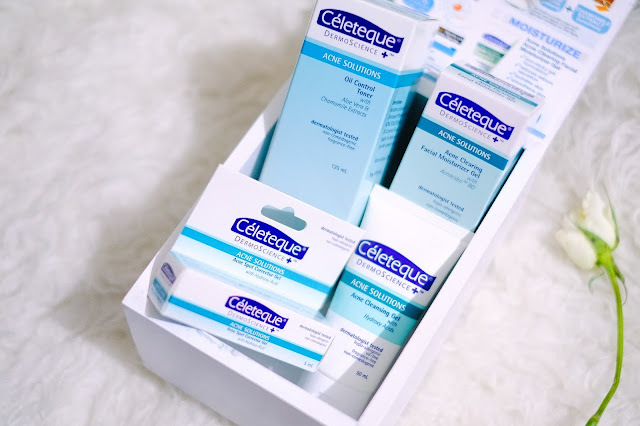 To stave off pimples and consequently boost confidence, Céleteque DERMOSCIENCE has come up with its ACNE SOLUTIONS line that specifically targets pimples.This is a line of highly specialized Dermatologist-created products that aim to clear up acne and control oily skin.With regular use, studies have shown a substantial improvement of 80% clearer skin in as early as one week. Oil, sweat, and dead skin cells from the dermis go out to the epidermis or the surface of the skin through the hair follicle. However, for acne-prone skin, oil, sweat and dead skin cells easily get trapped inside hair follicles,forming a plug. It then forms a bump (called a comedone) on the surface of the skin. This plug creates an environment where bacteria can thrive and can infect the bumps thus making it inﬂamed. Once it swells, the follicle wall breaks into the dermis, signaling white blood cells to ﬁght the infection. This results to redness, swelling, and formation of pustule,making the pimple or blemish rather unsightly. 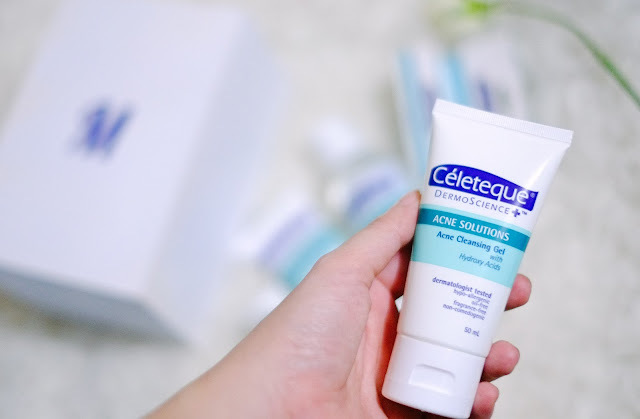 An effective anti-pimple regimen begins with proper cleansing. CéletequeDermoScience™ Acne Solutions Acne Cleansing Gel(PhP 270.00 for 50 ml orPhP 495.00 for 100 ml) is a thorough cleanser that has Hydroxy Acid (in the form of Salicylic Acid) that can penetrate hair follicles and exfoliate dead skin cells, thus removing blockage and decreasing comedones on the skin. A favorite in the Acne Solutions line is theCéleteque DermoScience™ Acne Solutions Acne Spot Corrector Gel(PhP 169.00 for 5 ml). It’s spot solution that is infused with Beta Hydroxy Acid (BHA) and Poly Hydroxy Acid (PHA) that aid in exfoliating dead skin cells and help in diminishing pimples and other acne imperfections. Aside from combating present pimples, it also contains Lilac Leaf Cell Culture Extract that helps reduce sebum production to prevent future acne breakouts. 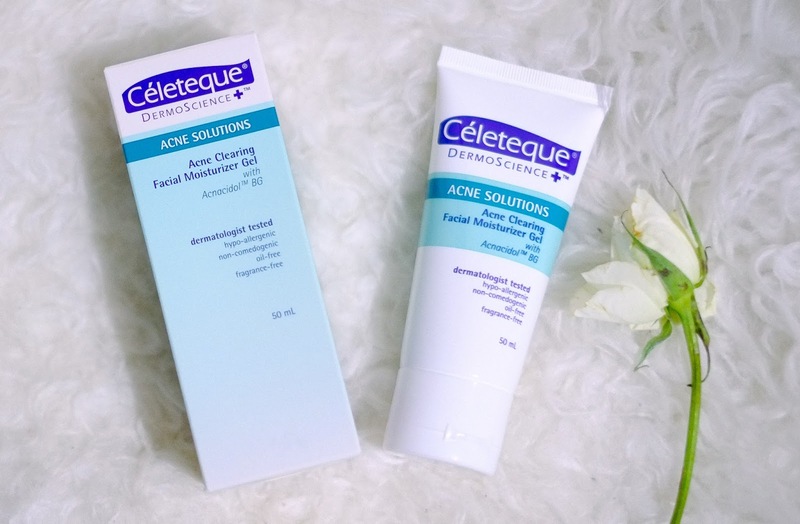 The Céleteque DermoScience™ Acne Solutions Acne Clearing Facial Moisturizer Gel(PhP 335.00 for 50 ml) has Salicylic Acid that breaks down blockage in pores and Acnacidol™ BG that helps reduce sebum secretion and inhibits the development of acne-causing bacteria. It is relevant to control excessive sebum production in order to prevent future breakouts.The great part about this moisturizing solution is its non-sticky gel formulation. As it also has French Spring Water for signiﬁcant smoothening and moisturization of the skin. 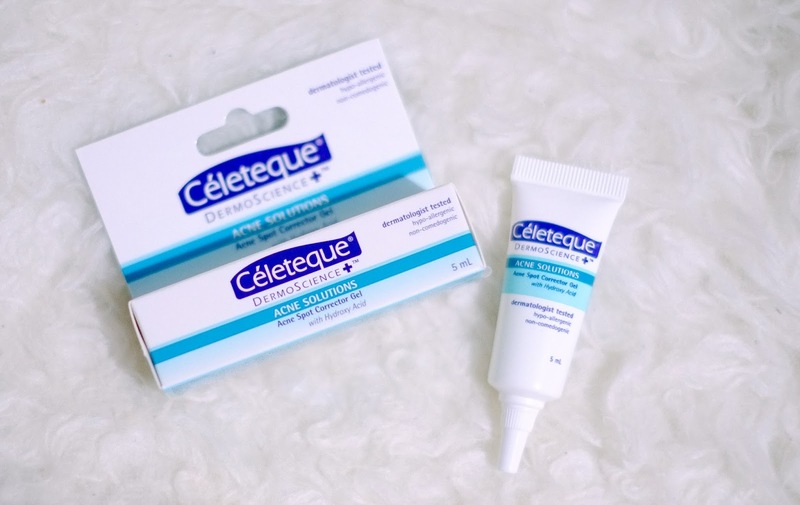 The Céleteque DermoScience line is available in all leading drugstores, beauty stores, and supermarkets nationwide. For more deets, like Celeteque DermoScience on FB and follow @celetequedermo.